Zion Athletic were the fourth club to be formed from the Zion Pentecostal church in Halesowen, following in the footsteps of Sporting Zion, AFC Zion and Halesowen Zion. This one was pretty much set up by former Calvary, Sporting Zion and Halesowen Zion player Jon Allen or Jallen to those who know him better. Zion Athletic took with them a handful of players from the old Zion clubs. The 2006/7 season was certainly one to build on. Athletic started brightly and led the division two table early on, only to fade to a mid-table finish. 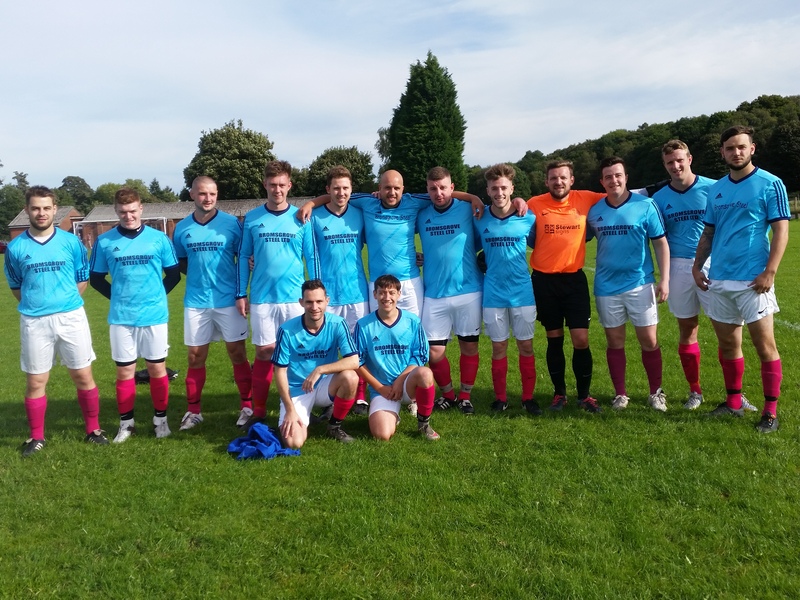 They also had a very decent run in the Cup, qualifying second in their group, knocking out closest rivals and training partners Halesowen Zion. They were squeezed out in the quarter-final on penalties by eventual finalists Renewal Solihull after drawing the tie five-all after extra time, having led five-one. Ed Walker 2007. 2009 saw Zion Athletic fulfil their potential and move into Division One despite a three point penalty imposed for an abandoned game. At times, Zion have looked a very capable side and if they can repeat these performances, they'll put their mark on Division One. However, they seemed to implode on the odd occasion, although it was rae; they only lost three matches in 08/09. 2011 and 2012 saw Zion Athletic get through to the Cup Final, only to be beaten by a dominant Clarendon team. League form was good in 2011, finishing sixth but patchy in 2012 only just avoiding relegation. 2013 saw a third consecutive cup final appearance and loss! A 3-1 loss to All Saints on this occasion which was married with another mid table finish for Zion Athletic.